The 2015 Outside Lands festival is now underway in San Francisco’s Golden Gate Park. If you’re there, make sure to come say hi to us in the Toyota Tent. 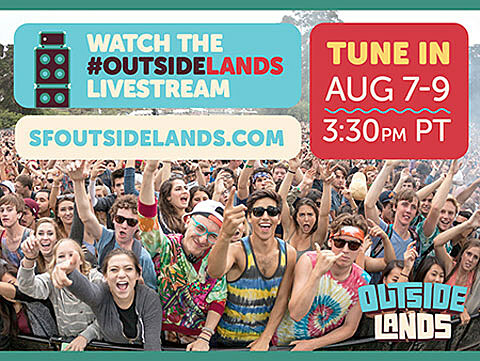 If you’re not, you might be interested to know you can livestream performances on three separate channels starting at 3:30pm PT (6:30pm EST) each day (Aug 7-9) at sfoutsidelands.com/.